Performed during a guest appearance with Dave Edmunds and his band. The song was played with Dave Edmunds on lead vocals. 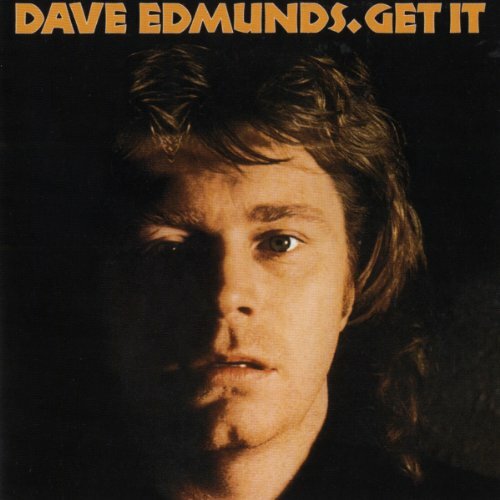 Dave Edmunds also released his own version of Let's talk about us on his 1977 album Get It. 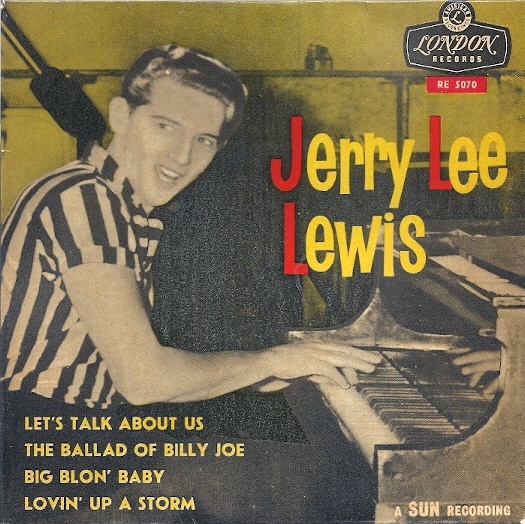 Written by Otis Blackwell, Let's talk about us was originally released by Jerry Lee Lewis as a single in July 1959.
" Oh my God, you know, that can reduce me to tears now. It was so much. It was "Working Man's Blues" – stoic recognition of everyday reality, and the small and big things that allow you to put a foot in front of the other and get you through. I found that Country's fatalism attracted me. It was reflective. It was funny. It was soulful. But it was quite fatalistic. Tomorrow looked pretty dark. And the one thing it rarely was, it was rarely politically angry, and it was rarely politically critical. And I realized that that fatalism had a toxic element. If rock and roll was a seven–day weekend, country was Saturday night hell–raising, followed by heavy "Sunday Morning Coming Down." Guilt, guilt, guilt, I fucked up. Oh, my God. But, as the song says: Would you take another chance on me? That was Country. Country seemed, not to question why. It seemed like it was about doing, then dying, screwing, then crying, boozing, then trying, Then as Jerry Lee Lewis, the living, breathing personification of both rock and country said, "I've fallen to the bottom and I'm working my way down." Jerry Lee Lewis recorded Pink cadillac as a duet with Bruce Springsteen. He released it on his Last Man Standing album on 26 Sep 2006 (U.S. release date). 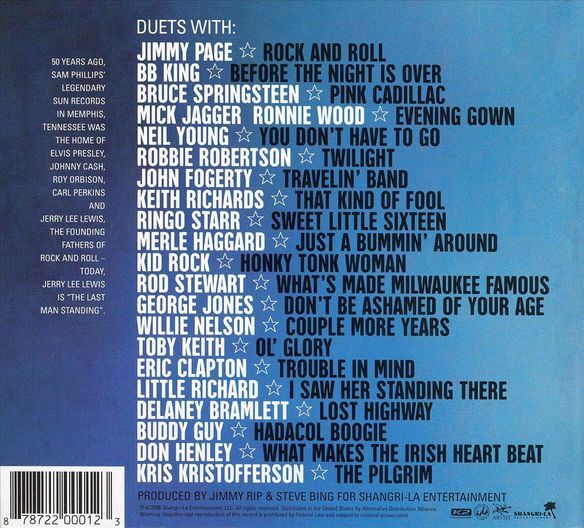 Springsteen shares harmony vocals on the track. Around November 2003, Springsteen overdubbed backing vocals for the Jerry Lee Lewis cover of Springsteen's own Pink Cadillac. The basic track had been recorded by Lewis in another studio some months earlier, and Bruce merely added his parts at Thrill Hill Recording (Springsteen's home studio) in Rumson, NJ. His contribution was one of the first completed for a work-in-progress album that turned out to be the much-delayed album Last Man Standing, released in September 2006. Last Man Standing consists of duets between Lewis and some of the biggest names in music, past and present. The title derives from the generation of 1950's Sun Studios recording artists such as Johnny Cash, Roy Orbison, Charlie Rich, Carl Perkins, and Elvis Presley, all of whom had died, leaving Lewis the "last man standing".